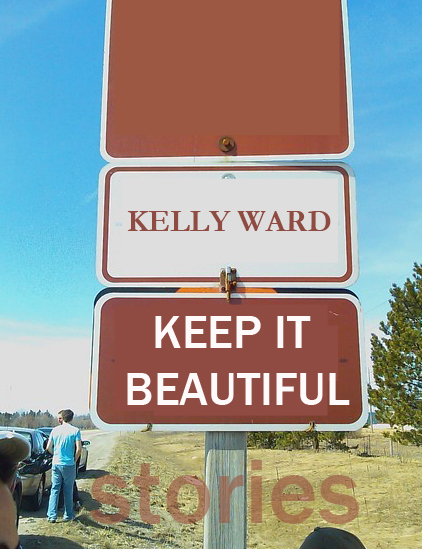 Kelly Ward Author. Editor. : 2013 at Last! The times they are a changing. 2013 at Last! The times they are a changing. 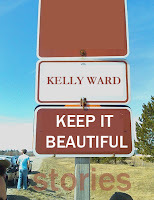 It's finally 2013 and things are moving steadily forward in the world of Keep it Beautiful! Tightrope's spring 2013 catalogue has been designed, meaning that the book has a dummy cover! (For "dummy cover" read: not-yet-final design that approximates the elements that the final cover will have.) That's it to the left of this text box. Ooooh! Aaaahhh! And the book was among the six short fiction collections featured in the Quill and Quire Spring Preview! All in all, the book is pretty much a runaway train at this point. It's been given over to the universe and I couldn't stop it now if I wanted to. Which is a simultaneously welcome and unwelcome feeling. I think every writer, while sitting cross-legged on her bed with an old, overheating laptop on her on her knees, dreams about the day that editors and designers will take over for her in creating some lovely, edgy, beautiful book. There's a sense of security in knowing that someone is actively trying to prove their copyediting skills by poring over your words, and that a designer is hoping to create a cover good enough to include in her portfolio one day. It gives a girl the sense that she's not alone in this thing; a feeling of camaraderie and gratitude in knowing there are at least three, maybe four, other people whose jobs and/or reputations are bound up (to some extent at least) in making this book a success. But with that final round of substantive changes comes the intense, sometimes crushing, feeling that that was the final round of changes. Never again will I sit cross-legged with a cup of tea in one hand tweaking a conversation between two scabby kids on a playground circa 1991, or reconsidering the adjectives used to describe an iguana eating a strawberry. The book is out of my control now, which has put to bed my fears of how the editing process will go and brought to light my fears of how the book will be received, now that I know precisely what it is that the world will be receiving. As 2013 unfurls before me, my new role as an author seems to consist mostly of mitigating anxiety and excitement, terror and jubilation, doubts and hopes. It's going to be a hell of a year.